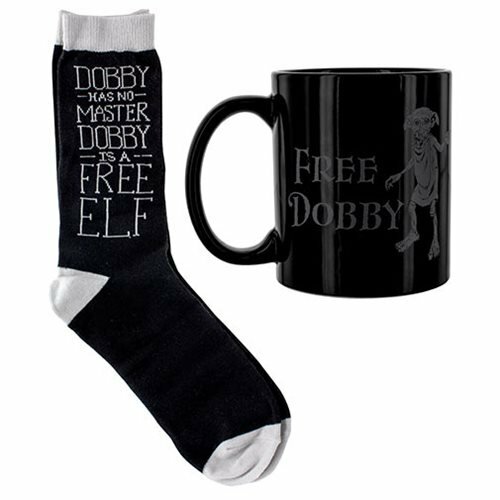 Take your favorite house elf with you at all times and enjoy a cuppa in his company with this wonderful Harry Potter Dobby Mug and Sock Gift Set. These comfy socks are black with grey detailing and feature the phrase "Dobby has no master, Dobby is a free elf" on the side. 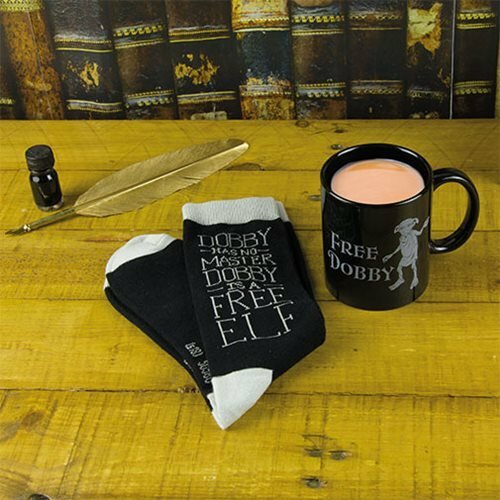 The tin mug included in the pack is also black with grey detailing and features Dobby and the phrase "Free Dobby" printed on its side. The socks are cotton and are men's size 8-12. 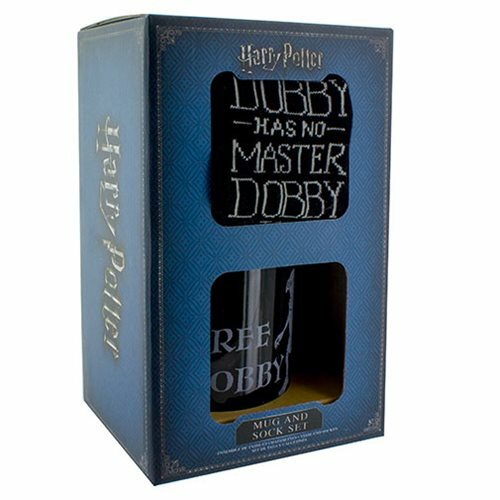 This fantastic set is a great gift for fans of the Harry Potter series, and is particularly great for lovers of the adorable house elf Dobby. Hand wash only. Not dishwasher safe. Do not microwave.